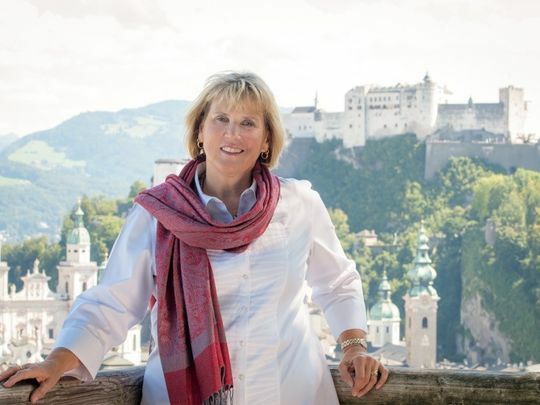 Elisabeth von Trapp had no plans to lead her new album with “The Sound of Music,” the title song from the 1965 movie musical that told her family’s story. In recording the material for “Something Good: Songs of Rodgers & Hammerstein,” von Trapp listened as Vermont musician Christopher Peterman led “The Sound of Music” not with the sweeping orchestral music fans of that movie are used to, but with a wistful saxophone that tapped into something deeper. That was just what she was looking for. Suddenly, “The Sound of Music” rose to the top. “I wanted to have that sense of timelessness,” von Trapp said. That quality of longing captures the spirit of her family, including her grandmother, Maria, famously played in the movie by Julie Andrews. The von Trapps fled Austria during the rise of Adolf Hitler and Nazi Germany and eventually settled in the hills of Vermont. They made a great life for themselves in America, where they sang professionally and established the still-popular Trapp Family Lodge outside Stowe, but never fully recovered from having to flee their homeland. Von Trapp wanted to capture that sense of loss in the eight songs on the album that come from “The Sound of Music,” including “Climb Ev’ry Mountain” and “Edelweiss.” Despite the serene folk approach, some Rodgers & Hammerstein songs, such as “My Favorite Things,” are irrepressible, and the upbeat nature shines through even with a more muted approach. Von Trapp also set out to do something she’s been grappling with throughout her long career as a musician – declaring her individuality while paying homage to her family name. A reflective take on “The Sound of Music” goes against everything those who think they know the song would expect, and is, von Trapp said, the hardest part of such a project. In her search to relate to those familiar tunes, von Trapp is in a way making the songs Rodgers & Hammerstein wrote about the family years after their arrival in Vermont more a part of the von Trapps than they ever were. “I have a greater capacity and space to honestly listen to these songs that audiences want to hear, but I can only do it in my way,” von Trapp, who lives in Waitsfield, said over coffee Tuesday at Muddy Waters in Burlington. Now that her family members depicted in “The Sound of Music” are gone, von Trapp is reinterpreting the songs so closely associated with them. 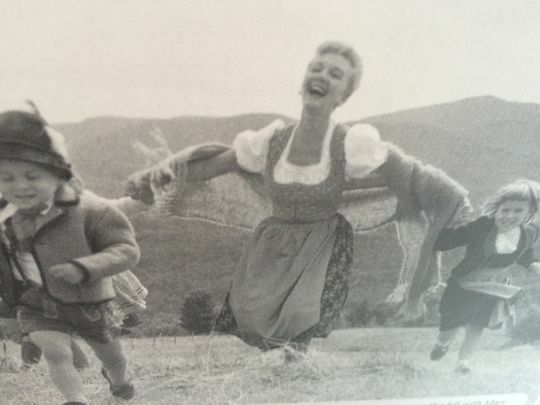 One way von Trapp remembers her childhood, not surprisingly, is through the prism of “The Sound of Music.” A 1959 photo in the CD booklet shows a 5-year-old Elisabeth holding Mary Martin’s hand as she, her siblings and the woman who would portray Maria von Trapp in the Broadway version of “The Sound of Music” scamper through a mountain-ringed meadow in Stowe. Martin had come to visit the von Trapps to glean any qualities that would be useful for her role as Elisabeth von Trapp’s grandmother. “This day of being together (with Martin), I remember like it was yesterday,” von Trapp said, partly because she played Ring Around the Rosie with Martin but mostly because she saw how her grandparents, Maria and Baron von Trapp, were energized by the Broadway legend’s visit. Those years of study gave von Trapp the chance almost a half-century later to record the songs the way she wanted to. She made “Something Good: The Songs of Rodgers & Hammerstein” at Lane Gibson Recording & Mastering in Charlotte, the studio formerly owned by Charles Eller, who co-produced and played keyboards on the album. Von Trapp’s band for the recordings is the same group she has played with off and on for years, including Peter Riley on bass, Erich Kory on cello and Paul Asbell on guitar. 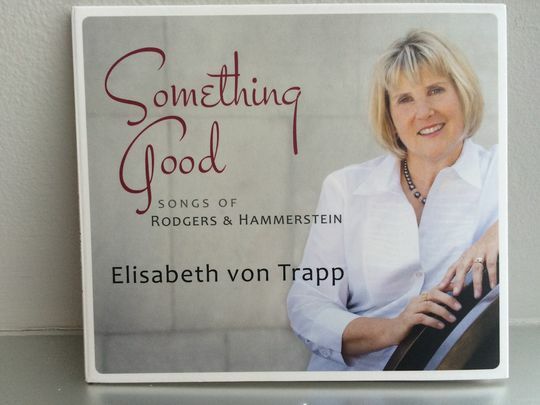 Von Trapp was a guitar student of Asbell’s, and she said it was a run-through 25 years ago with the Burlington guitarist of another song from “The Sound of Music,” “My Favorite Things,” that made her realize “the sky’s the limit” on taking a fresh look at the Rodgers & Hammerstein standards. “In many respects she is the one making the big decisions, certainly on this CD, about how the emotional ambiance of a given song comes across,” Asbell said, noting that he and von Trapp try to mesh their instruments into “one huge guitar” that supports rather than drives her vocals. Von Trapp talks of her role as a singer in terms often reserved for visual artists. Of her collaborations with Asbell, von Trapp referred to their connection as “tonal sculpting.” She described her singing that tempers the largeness of the Rodgers and Hammerstein material as “painting with my breath,” a sentiment Asbell alluded to as well.